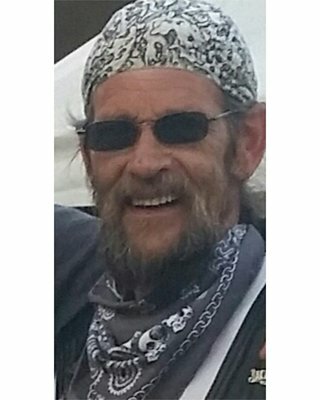 Obituary for Curtis A. Moffett | TRAUB FUNERAL HOME INC.
Curtis A. Moffett, 56, passed at home on March 30, 2019 with his son, Jimi, and Michele by his side. He was born on May 31, 1962, the son of William and Carol Moffett. Curtis is survived by his son, Jimi, who was his whole life; and Jimi’s mother Michele Van Tassel, a special bond. Curtis helped to raise Michele’s daughters, Cheyenne and Summer Longtin, and spent much time with Johnny Canfield, Jimi Moffett’s sisters and little brother. Curtis is also survived by two sisters, Connie Moffett of Brewerton, NY; and Valerie (Ronald) Flitcroft of Hastings, NY. His loving aunt, Linda Griffo of Lakeland, NY; as well as many nieces, nephews and cousins. Curtis started his own construction business, Courteous Construction in Central Square. All of his spare time was devoted to Jimi included motorcycling, monster jams, and hunting. Curtis got to see Jimi shoot his first deer on opening day. He was so very proud of Jimi’s karate accomplishments. Curtis started a May Annual Camping outing over 30 years ago with all his friends, these friends will carry on this tradition in his memory. The family would like of offer a special thank you to all his friends who stopped by daily to keep up his spirits. Curtis was a great friend who had many great friends; they showed so much love. To all his biker friends and the biker community: a huge thank you! “Bones” loved you all, so many memories. Calling hours will be held on Saturday, April 6 from 2:00 - 4:00 PM at the Traub Funeral Home, 684 N. Main St., Central Square with a service immediately following. Contributions may be made to Jimi Moffett. After the service, family and friends are invited to gather at Dominick’s Pub ‘N’ Grub, 155 Camic Rd. Central Square, NY 13036 for a Celebration of Life to share memories and honor Curtis “Bones” Moffett.